The $31 bln Indian IT giant is in a mess after its CEO quit. To restore confidence, it needs fewer bosses and to find a strong outside CEO. Publishing a report into whistleblower claims would also help draw a line under a founder’s complaints of mismanagement. 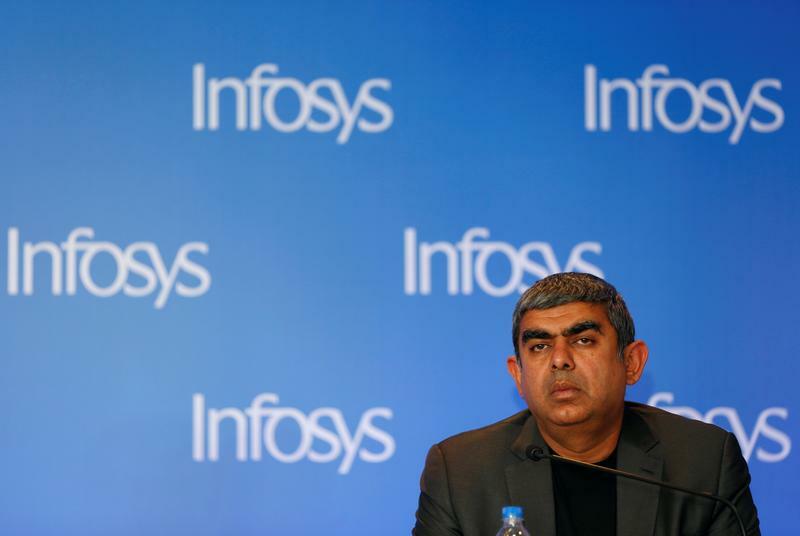 Shares of Infosys have fallen 14 percent since Aug. 18 when Vishal Sikka unexpectedly resigned as managing director and chief executive with immediate effect. Sikka will be executive vice-chairman until a permanent CEO is found. Chief Operating Officer U. B. Pravin Rao will serve as interim-managing director and chief executive of India's no.2 software services company. Founder Nandan Nilekani should return as a non-executive chairman, IiAS, one of India's top proxy advisory firms, said on Aug. 18. Nilekani was one of seven founders and served as CEO between 2002 and 2007. He has since overseen the rollout of India's biometric identity system, Aadhaar, which now covers more than 1 billion people.